Few things compare to the love of a shelter pet – just ask any adopter. For some, adopting a shelter pet is so rewarding and fulfilling that they don’t stop at one. Michael and Caroline have always loved dogs. 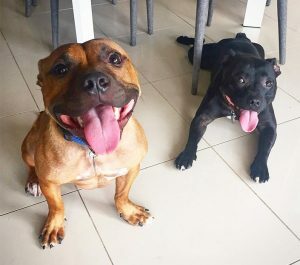 Spending their time surrounded by their family and friends’ dogs, they thought it was about time they adopted one of their own. In November 2014, Michael and Caroline visited our Campaspe shelter, where they met a black Staffy cross, called Indie. They immediately knew Indie was ‘the one’ and were thrilled to welcome her into their family. But, that was just the beginning of their pet adoption journey. “We had such a great experience with Indie that fast-track a year later, we were on your website again looking for her future brother,” said Michael. It was at our North Melbourne shelter that they met Tanner, a cheeky dog with that unmistakable Staffy smile. 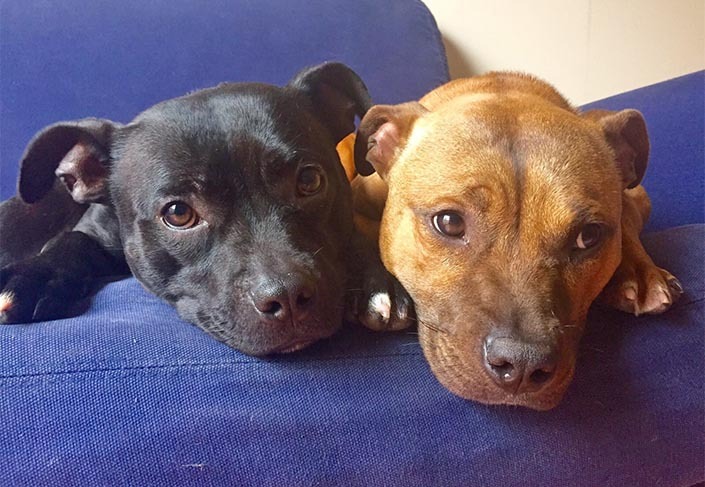 Indie and Tanner have filled their new home with double the love. Michael and Caroline said their household just wouldn’t be the same without them. They’re both very affectionate dogs, their best traits are their loyalty. You never feel alone when these two are about,” said Michael. Indie and Tanner are certainly a perfect match for their new family, but more so, for each other. “They’re inseparable. Although adopted from two different shelters (and a year apart), they have really developed a brother-and-sister bond. 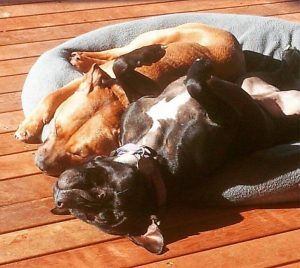 Despite having two beds, they always sleep on top of each other and you can never find one without the other,” said Michael. “All dogs are great! But just the initiative behind shelter pets makes the experience all the more worthwhile. Do you share your life with a former shelter resident (or two) from The Lost Dogs’ Home? Email your story to communications@dogshome.com so we can share it and show the world why shelter pets make great pets!